Today I had passed preliminary defense of my diploma project on programming courses, only week to go and low post frequency should be over. :) Anyway I decided to take short break and mess with bunch of new toys I piled up in recent weeks. My home desktop PC upgrades are mostly disaster-driven so there isn’t much planning in them. As result PC case, as constant to-replace-some-day-thing, lasted way more years than it should. It started full of electronics (back then most things weren’t integrated) but nowadays it became near-empty box with motherboard and two tiny drives lying at the bottom. One of my Dapper watches caught me Mini-ITX case as available (very rare around here) and I jumped on chance to shuffle things a bit. Mini-ITX is kinda holy grail of compact and convenient desktop computing. It is much smaller than any regular desktop, yet can fit very considerable hardware. Trick is to find enclosure that delivers all of that with least compromises and considerable power supply. Earlier model of this one was near-perfect except 65W and some time later Antec managed to stuck 150W one inside newer model. Not much compared to desktop monsters (mostly unneeded), but quite enough to power decent desktop build. In addition to Mini-ITX motherboard case has space for slim (notebook) optical drive and two 2.5” hard drives. My drives were 2.5” anyway (Kingston SSD and 500GB WD hard drive for media). Only had to buy new optical drive. 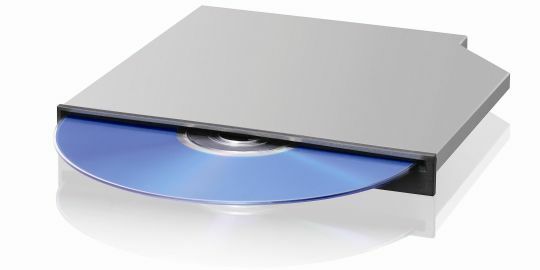 Not much to say about this one, slower than full-sized optical drives, considerably more expensive, but tiny in size, comparing to those. Antec case has bundled stand to position it on the side (which makes more sense as for me) so I went for more convenient in vertical orientation slot-load optical drive. Note that slim drives take in slimline SATA power. PSU in Antec case had one thoughtfully available. Otherwise you might have to look for adapter. In addition to fan in PSU case has two 80mm slots. One is pre-filled with native Antec fan, other with piece of plastic. I was not happy with native fan – noisy specs, manual speed control. 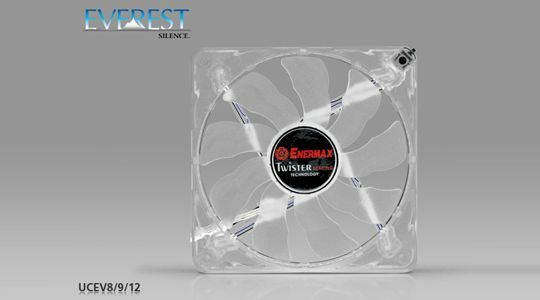 So I looked around for pair of good silent fans, expecting to hit Zalman or Scythe… Unexpectedly I came upon very solid model from Enermax. So I installed two of these (LEDs off) with thermal sensors stuck in chipset heatsink and CPU cooler. Motherboard had only one spare fan connector so other fan got powered from PSU. One small issue – fans have low RPMs and stuck easily. Merely touching by loose SATA cable was enough to stop one. What makes it tick. 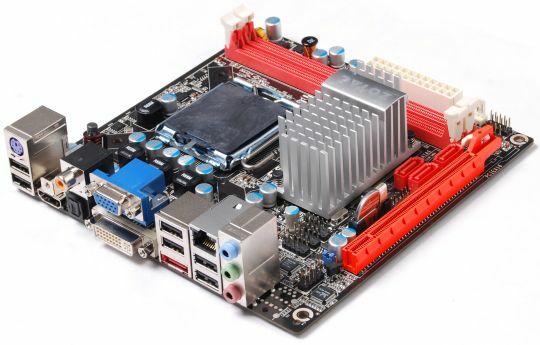 Zotac more or less owns sector of Mini-ITX motherboards, compatible with desktop CPUs and other components. But again – not much choice around here so I went for top available model. Socket 775 so I just moved my Pentium Dual-Core E5300 to it. It can even fit regular video card and physically half-height one will fit in case as well. But since I hardly need one integrated nVidia GeForce 9300 would be enough. I also got new 4GB stick of RAM but motherboard absolutely refused to boot with it. Near-identical stick form same manufacturer with same timings but 2GB in size worked just fine. Motherboard’s list of tested components only includes two 4GB sticks and no memory at all from Hynix. Posted on ZOTAC forums about issue. Not happy, stuck with old 2GB stick for now. At first I disassembled case and put all stuff together on the table. Took some time to figure out memory issues. Since I just moved my system drive (yet again) I had OS installed and it booted fine… And then it asked for drivers… Including USB…Which I had to confirm… With my keyboard or mouse, both very much USB… :) Don’t know what was going inside of Windows, but it was basically half of an hour of staring contest and thinking up some solutions when suddenly keyboard just lit up and worked. After installing drivers it was back to normal in minutes and I decided to put it inside case. Believe me, putting together Mini-ITX system is much more… interesting. :) There were several infuriating moments where wrong order of inserting case modules of wires in wrong place required to take everything apart and start from zero. Case ends up very packed. Most of the side were video card goes is just filled with wires. I have trouble thinking where else could they go if video card is installed. Nothing lost in performance, actually gained some – GeForce 9300 is more powerful than Intel 4500MHD I had. Already quite a feat for a case over five time smaller than midi-tower I had. According to PSU calculator config peaks at ~130W, so far no power issues in sight. Temperatures are relatively cool. I started Open Hardware Monitor and watched temperatures over evening. CPU and GPU are in merely 40-50C range all the time. Hard drive is more hot than it was – up to 37-38C from 30-31C it had. Drives are stuck in tight place with no air movement in Antec case so I suspect something high-performance can easily fry in it. As for noise – box Intel cooler is one and only culprit. In small case it got even worse. Motherboard can control CPU fan (sadly only automatically from BIOS, doesn’t report or lets control speeds from SpeedFan) but it is still noisy. And with such case I have trouble thinking up of better alternative. Mini-ITX is hardly no-brainer option. Components will cost premium and gaming or other high-powered configs are out. It isn’t best variant for silent computing either – no space for large heatsinks. Still it is good form factor to get very compact system that will own any possible Atom-based nettop.